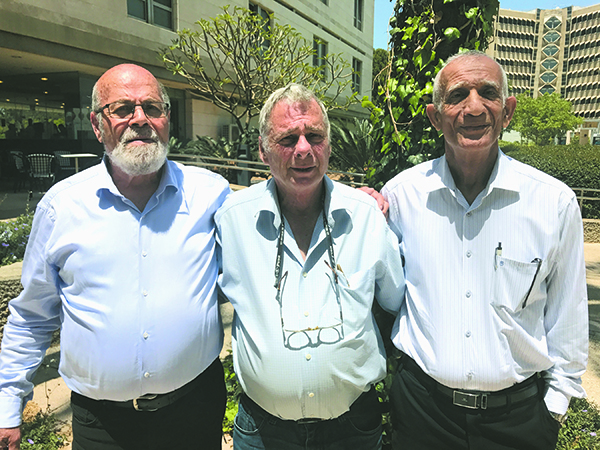 Editor’s Note: This story first appeared on the Israel Defense Forces blog on May 20, 2012, during the 45th anniversary of the Six-Day War. It was the picture seen around the world. In June 1967, David Rubinger, a press photographer in Israel, followed Israel Defense Forces soldiers who were fighting to liberate the Old City of Jerusalem. At the Western Wall, three soldiers posed for a photograph. They were Tzion Karasenti, Yitzhak Yifat and Chaim Oshri. While their names are not famous, their faces have become symbols of the reunification of Jerusalem. 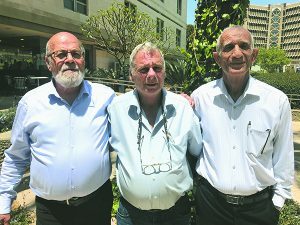 To mark the 45th anniversary of that day — the 28th of Iyar on the Hebrew calendar — we found the three men from the photograph and asked them to share a few memories from the special day. Zion Karasenti is 69 years old. He fought in the Battle of Ammunition Hill in Jerusalem. 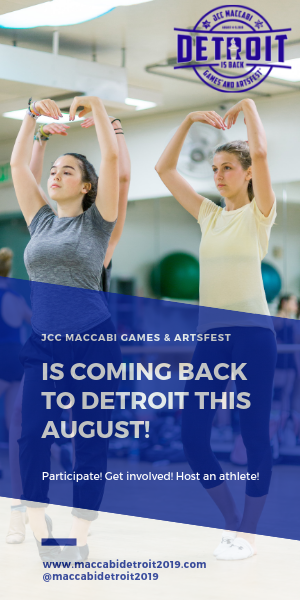 Today he lives in Afula and is a director and choreographer. On Ammunition Hill, the soldiers come under fire from Jordanian forces. Karasenti, then 24 years old, was the first paratrooper to reach the Western Wall. He did not immediately recognize where he was standing. Yitzhak Yifat, 69, is a gynecologist and obstetrician. In 1967, he was 24 years old and living in Tel Aviv. Yifat lost many friends in that battle. Their names are now etched in stone at the memorial at the site. Born in Yemen in 1944, Chaim Oshri immigrated to Israel in 1949 and completed his military service in 1965. He was called up for reserve duty in the days leading up to the Six-Day War. 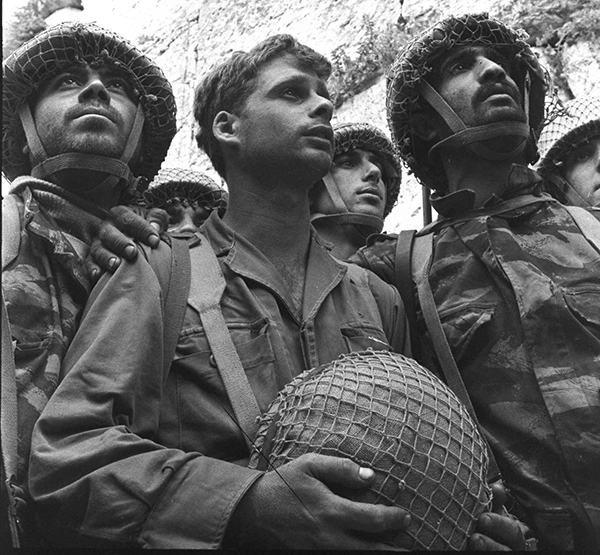 In front of the wall, a press photographer, David Rubinger, approached the three soldiers and pointed his lens at them. ← What If Jordan Had Not Attacked Israel In 1967?